Our range of products include planetary gearbox for stepper motor. Having a definite quality management system, we are regarded as the noteworthy manufacturer and supplier of an extensive gamut of Planetary Gear Box for Stepper Motor that is used for the purpose of load bearing. Our provided gear box is manufactured by using premium quality raw material and sophisticated technology in sync with industry norms. The offered gear box is tested on different quality parameters so as to maintain its quality. 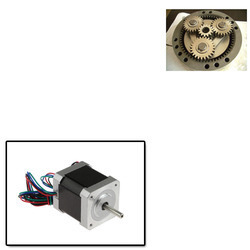 Looking for Planetary Gearbox for Stepper Motor ?